Today I received this update from Symantec regarding their latest Live Infographic Poster on SSL Certificates, This was an awesome innovation from Symantec where it contains all the important resources on SSL and the latest news on the Encryption Technology under a single window, designed effectively to give your more information on the topic and provide access the required resources at ease. In today's IT world Information Security is the more vital one and every Organization is spending more amount of resources on this part as they cannot compromise this at any cost. Unfortunately in the recent days Information Security violation is happening at high cost by Hackers around the world who are now more powerful than ever before and breaking the system though we have strong firewall and other Security mechanism and there are Organizations who are still untouched because of their strong security system by all means from a regular browser visit, critical Email communication to all the other transactions carried out through proper security mechanism like SSL , TLS and much other latest and greatest Encryption Technology. In the next generation Internet world we need to keep our resources safe at all costs with proper security mechanism and if you are planning for it then this resource for Symantec will be the best place to start to know more and do more. 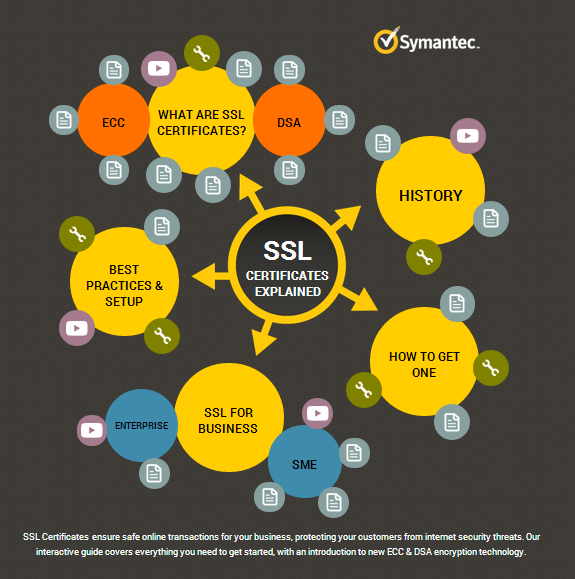 Additionally, download the below Whitepaper on TLS/SSL Best practices from Symantec.